Avocados, with their versatility and their numerous avocado benefits, are turning up in A LOT of kitchens. This delicious fruit (yes, it’s a fruit) contains a powerful list health benefits and can change your body and health for the better. We’ll show you all the wonderful reasons we love avocados, and why you should too. 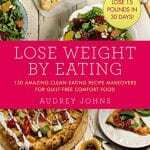 We’re going to discuss the health and beauty benefits of an avocado, avocado nutrition, how to pick the best ones, how to ripen an avocado, how to store avocados, and finally we’ve included a few avocado recipes. The humble fruit is full fiber and healthy fats that are good for your body. This type of fat and the ample fiber will help you feel full and satisfied. 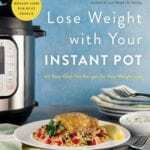 It does this by sending your brain a message to turn your appetite to the off switch. By feeding your body a healthy fat, it is more likely to release stored fat from your body. 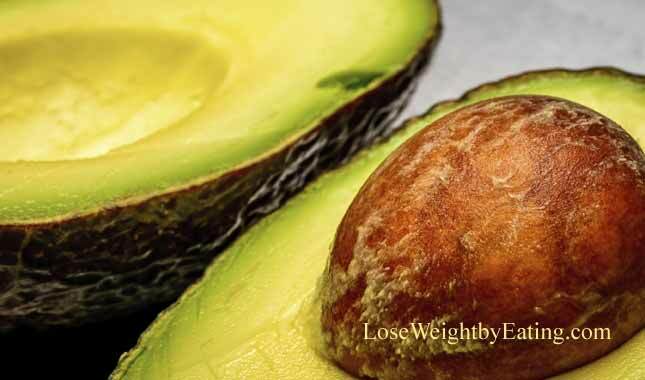 Or bodies often hold onto fat during times of stress, having avocado on stressful days will likely reverse that occurrence, lose weight faster, and help you maintain a healthy weight. 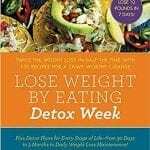 Key Point: Avocados are high in fiber and low in carbs, two qualities that should help promote faster weight loss in conjunction with a healthy diet. The number one cause of death in the United States and the UK is coronary heart disease. This is considered an inflammatory disease, and those who eat poorly and eat a diet that is high in inflammatory, highly processed vegetable oils (fast food among them) may increase their risk of developing different types of cardiovascular diseases. Medical experts encourage us to lower polyunsaturated fat intake and increase the amount of healthy monounsaturated fatty acids in our diets. This is where the avocado comes in. The high levels of vitamin E in avocado works to prevent cholesterol oxidation, and since the fruit contains plenty of potassium, avocados can help regulate high blood pressure. Key Point: Many studies have demonstrated that eating avocados can help improve heart disease risk factors like Total, LDL and HDL cholesterol, as well as helps lower blood pressure. The health benefits of avocado extend to your joints since the fruit may relieve your arthritis pain. Food products like corn, milk, sugar and wheat can worsen the pain that people experience when they suffer from arthritis. It does this by decreasing inflammation. Various carotenoids, vitamin C and vitamin E are present in avocados, and these are the nutrients that reduce inflammation in your body. Key Point: Multiple studies have reported that avocado oil may relieve the symptoms of osteoarthritis and help improve overall joint health. Most people don’t like to discuss their bowel health, but when they fail to work properly, you can become quite uncomfortable. 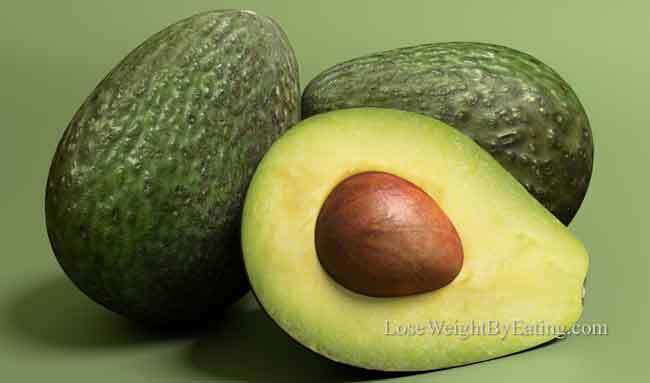 The fiber content in avocado helps this part of your body function the way that it should. One cup of avocado contains 8 grams of soluble and insoluble fiber. When you make the fruit a regular part of your diet, you will likely experience better digestion and regular bowel movements. Some medical professionals even prescribe avocado as a mild laxative. Key Point: The fiber in avocados helps promote healthy digestion and helps fight constipation. If you eat an avocado, you’ll receive about 50 percent of the FDA’s daily-recommended amount of vitamin K. This is a nutrient that people often overlook, but it is an essential one for the health of your bones. Calcium and vitamin D frequently overshadow vitamin K. However, when you include it in your diet regularly, the nutrient will help your body absorb calcium. Key Point: Avocados help maintain bone health and can reduce your risk for developing osteoporosis later in life. The human body tends to revel in the kind of fat that’s in avocado. Every cell in your body needs this nutrient. In fact, more than 60 percent of your brain is made of fat. There are signs that the fruit may help prevent cancer. One study found that it slowed the growth of prostate cancer cells. Avocado is also high in folate, and according to research, people with adequate levels of this nutrient are less likely to develop colon, stomach or cervical cancer. Avocados can also help with bad breath. In some cases, bad breath originates from your stomach instead of your mouth. Avocado juice cleanses your intestines and your mouth, which kicks the microbes that cause bad breath to the curb. Avocados also support skin health, and help your body absorb fat-soluble vitamins, nutrients and minerals. Key Point: Avocados can improve the way you look, function and feel. Aside from their healthy monounsaturated fats, avocados are loaded with vitamins and minerals. 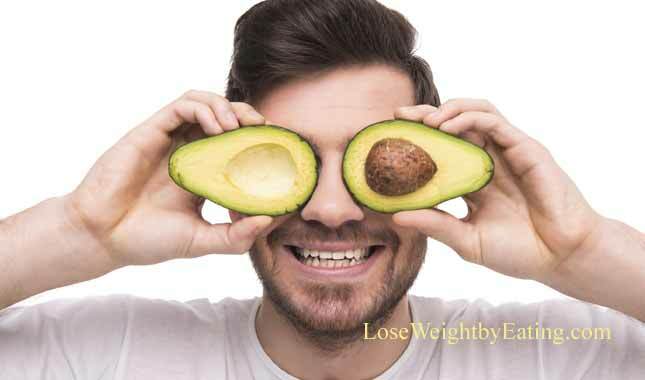 Another amazing avocado health benefit includes reducing your risk of developing cataracts or macular degeneration. Key Point: Avocados are very high in antioxidants, including Lutein and Zeaxanthin. These antioxidants are important for eye health and help lower the risk of eye disease. Not only does avocado improve the health of your skin, but it is also good for your hair. Avocado oil treats dry hair strands and a dry scalp. It can even give your hair a healthy shine. There are several ways to use avocado on your hair. For dryness, massage mashed up avocado into your scalp. The fruit’s proteins and amino acids penetrate your skin to nourish, heal and improve your scalp’s overall condition. The oil in avocado treats split ends and dry strands. Apply the oil. Then, allow it to rest on your hair for 15 to 20 minutes for deep conditioning. Key Point: Avocado oil makes a great natural hair treatment that makes your hair shine beautifully. Dandruff is extreme flaking of the dead skin tissues on your scalp. With the right avocado-based concoction, you can treat the condition. Shred the avocado seed with a cheese grater, then grind into a powder, and apply it to your scalp. Or, treat your dandruff with avocado oil. If you use oil, you can also soothe scalp blemishes that develop from eczema and psoriasis. Key Point: Avocado oil can help rejuvenate and moisturize your scalp. As a rich source of amino acids and vitamins, avocado promotes long, strong, healthy hair growth. Avocado is also good for damaged or frizzy hair. For damaged hair, combine 2 tablespoons of the oil with half of a mashed avocado. Apply the mixture to your hair, and leave it on for about 15 to 20 minutes. Shampoo your hair, and style it as you normally would. The avocado hair mask makes your hair smooth and easier to manage. If your hair is naturally frizzy or coarse, apply avocado oil to it. This treatment will make your hair soft and more controllable. It will also give you the kind of luscious locks that hair product producers like to show on TV…. without all the cost of visiting a swanky Hollywood salon. Key Point: Avocado oil oil helps to restore the natural health of hair so that it grows healthy from the scalp and upwards. It helps improve thinning hair and adds body. Most people lose their hair because of vitamin deficiencies or due to external stress on the hair follicles. It can also fall out because of overexposure to extreme cold or heat as well as from styling chemicals or dye. To keep your hair on your head and out of your shower drain, condition it regularly with the fruit’s oil or a mask. Key Point: Avocado conditioner and masks are an effective natural remedy for treating hair loss and improving the condition of your hair. This unassuming fruit packs a big wallop when you consider its nutritional value, which makes it popular among those who watch their health as well as their weight. The one thing that stymies avocado lovers is determining the fruit’s ripeness. Trying to select a ripe one in the grocery store is forever a challenge as is deciding the best time to eat your avocado once you get it home. Color and give will help you decide how ripe an avocado is in the grocery store. If it’s still green, then it’s not yet ripe. An avocado that’s between dark green and purplish black should be ripe. Squeeze it a little to check for give. If you can feel it yield slightly, then bring it home. A black avocado that yields too much is overly ripe. If you need to ripen one fast, you can do so with heat. Wrap your avocado in tinfoil, and make sure that it’s airtight. Place the fruit into an oven that you’ve preheated to 200 degrees Fahrenheit. Allow the avocado to sit in the heat for about 10 minutes. This process will force the fruit to release its ethylene gas, which makes it ripen. If you use the speed ripening technique, then you may notice a slightly different taste to the avocado. This occurs because the oven will start to cook the fruit. If only the natural flavor will do, then use the quick ripening method for recipes that require other ingredients. Once you’ve brought an avocado or two home from the grocery store, you can store them in your fruit bowl for several days. If you need to store one that’s cut, sprinkle it with lemon juice, lime juice or another acidic agent and seal it in an airtight container. You can store it like this in the refrigerator for one day. If the top layer of the fruit turns brown, you can remove the layer and eat the rest. When it comes to eating avocado, the choices are seemingly endless. Add the fruit to a salad, sandwich or omelet. Place a slice on your next hamburger, or blend it in your green smoothie for a creamy delicious shake. Since the fruit is the main ingredient in guacamole, this increases the versatility of avocado even more. Guacamole especially adds a kick to a burrito. It makes a good snack on its own with tortilla or vegetable chips. Here’s my video for Guacamole with Pickled Jalapenos which I made for eHow. Consider adding an avocado smoothie to your weekly food menu to get the benefits of avocado without all the flavor. The strong flavor of the apple masks the taste of the avocado and still get the avocado benefits. Avocado toast is another easy way to enjoy this nutrient-rich fruit. For this tasty combination, you have the option of choosing a simple recipe or one that is more complex. For instance, one yummy recipe involves adding half of a mashed avocado to a piece of multigrain toast with a slice of tomato. If you want something slightly more complex, then consider adding a fried egg and turkey bacon to your toast with the avocado. Also try my recipe for Avocado Cheese Toast, it’s SOOO yummy! Avocado is a fruit that not only tastes delicious, but it also improves your health, aides in weight loss and weight management and even improves the look of your hair and skin. With its unique nutrition profile and avocado benefits, they are turning up in everything from smoothies to face masks, the avocado is the superhero of the food world.